Roseanne Barr’s show was canceled yesterday after she tweeted a racist joke against a former advisor to President Obama. She even threatened to quit Twitter after the incident. But Barr is more active of the site than ever, retweeting supposed hypocrisy by Disney, and even partially blaming the sleep drug Ambien for her racist tweet. Barr spent the night tweeting apologies to Valerie Jarrett, the Obama official who Barr said looked like a cross between the Muslim Brotherhood and Planet of the Apes. But Barr also retweeted plenty of far right users who believe that ABC was hypocritical to cancel her show, since left-leaning entertainers have said offensive things about President Donald Trump. But Barr started taking heat yet again when she explained that maybe it was the Ambien that made her do “weird stuff” like send out racist messages. 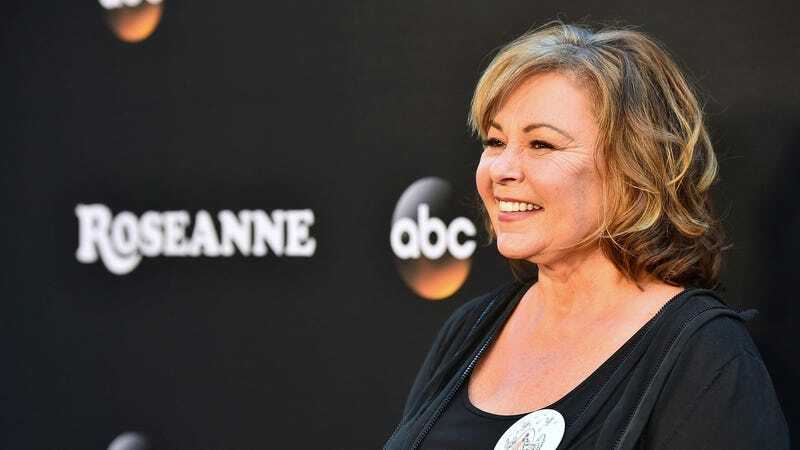 Barr urged her followers not to boycott ABC, explaining that the network had every right to cancel her show and that there was nothing that could be done about it anymore. But she also tried multiple tactics to excuse her behavior, including tweets where she claimed that she didn’t know Valerie Jarrett was black. “i honestly thought she was Jewish and Persian-ignorant of me for sure, but...i did,” Barr tweeted in response to right wing users claiming that there’s a double standard in entertainment for “leftist” actors. Despite tweets that Barr is “moving on,” she continues to retweet accounts that insist there’s a double standard, and claims that she’s being harassed. Disney canceled Barr’s show yesterday swiftly, saying that “Roseanne’s Twitter statement is abhorrent, repugnant and inconsistent with our values, and we have decided to cancel her show.”And video streaming service Hulu pulled her old episodes, while Viacom says that it will no longer distribute reruns of Roseanne on broadcast TV. Roughly 200 people who worked on the Roseanne reboot have lost their jobs as a result of Barr’s racism. Barr is scheduled to talk with podcaster Joe Rogan on Friday. And while Barr said yesterday that she’d be leaving Twitter, it seems like that’s highly unlikely. A number of right wing Twitter users have threatened to abandon the platform, like actor James Woods, only to return shortly thereafter. Without her show, it’s a safe bet that Twitter will become Barr’s new home turf, provided she can keep herself from getting banned. Live by the tweet, die by the tweet, it would seem.